Pro-Russian activists in the eastern Ukrainian city of Donetsk March 1. The AIPAC conference may be opening at an awkward time for the lobby, as the Forward’s Nathan Guttman writes today. Beyond the fact that it’s still licking its wounds from the Iran sanctions imbroglio and has no clear message to rally around, it has to compete for attention—which is, after all, the point of bringing 14,000 people to Washington—from Oscars night and yet another winter storm. But there could be an even bigger kink in the planning. As Chemi Shalev writes in Haaretz today, the explosion of Ukraine crisis vastly overshadows the Iran crisis that AIPAC wants to make the centerpiece of the conference. AIPAC was figuring to rev up the troops by invoking the Iranian nuclear threat. It apparently wants to avoid a direct confrontation with the administration over the issue, but it’s not planning on making nice either. Now the entire AIPAC agenda is probably off the front page. On the other hand, the Ukraine eruption could work to the advantage of Israel’s prime minister, who meets President Obama at the White House on Monday. It’s sort of like a replay of the Monica Lewinsky crisis, which erupted just as Bibi was headed to the White House for a showdown with President Clinton in January 1998. 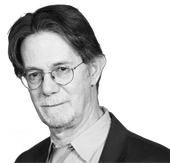 This story "Ukraine Crisis: Bad for AIPAC, Good for Bibi" was written by J.J. Goldberg. Obama has been planning for weeks to spend their meeting leaning on Netanyahu to accept the evolving Kerry framework on Israeli-Palestinian peace talks. Right now, though, it’s unlikely the president will have any taste for confrontation with Netanyahu and his friends on Capitol Hill and at the Convention Center. He’ll need all the support he can get in the looming confrontation with Vladimir Putin. Especially given the still smoldering damage to his credibility from his fuzzy red line on Syria last fall, he can’t afford to walk into this new blow-up with the important constituencies mad at him over Israel. In a strange way the timing of the Ukraine crisis, just as Netanyahu shows up for a major showdown with the Democratic president, recalls Bibi’s visit to Washington in January 1998. That too was supposed to be a showdown with a Democratic president, but the Monica Lewinsky crisis erupted on the front page of the Washington Post just hours before Netanyahu’s January 21 White House meeting. Dressing down the Israeli leader was the last thing on Bill Clinton’s mind that evening. Back then, some traditional Jews were comparing Lewinsky to the biblical Queen Esther, saving her people from a crisis through her relations with the ruler. This time there’s no Esther on the horizon, but with Purim two weeks away, you can’t help feeling that history and myth are repeating themselves.